We are delighted to introduce Jo Roberts as the service user Champion for the Reducing Risk – Achieving Recovery Action Research Project. Jo is a member of our User Panel for the Project and will be closely involved in considering the results of our survey and agreeing our final report later this year. 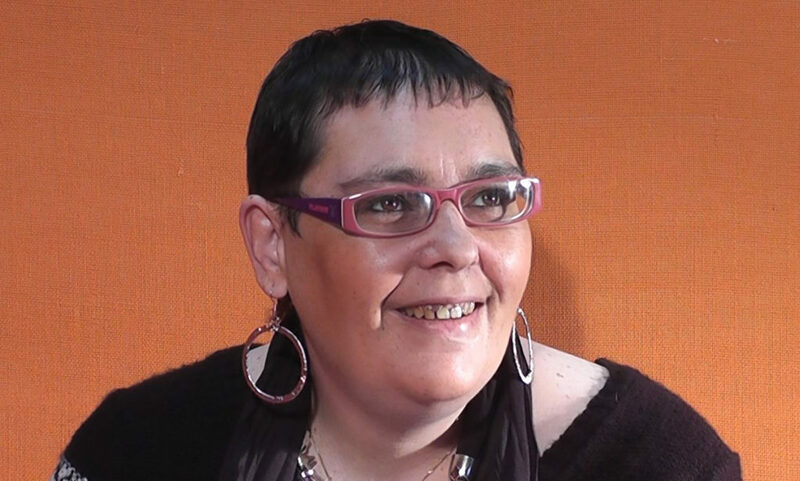 Jo, who was diagnosed with paranoid schizophrenia, has valuable personal experience of mental health services and the criminal justice system having been remanded in prison, spent time in the Caswell Clinic and Ashworth Hospital among other institutions, and was under a Home Office Section 37/41 for many years. Jo’s story features in the “12 Lives” publication. Jo also has a fantastic personal record of campaigning – she has given evidence to Parliament and to the National Assembly on legislation and policy and wrote the legendary “Jo’s Blog” which influenced the Welsh Code of Practice for the Mental Health Act, giving it a strong patient focus. “The Reducing Risk – Achieving Recovery Project goes right to heart of what I stand for – respectful and kindly care and treatment which keeps everybody safe but also gives real hope and the prospect of recovery. “ There have been some improvements over the years but there are still too many people suffering in prison when they need hospital care or receiving only medical treatment when they need holistic care and treatment which helps them move on and make a good life for themselves.